On thehendonmob.com poker forums, Harry Demetriou created a thread where he took his arguments against the AGCC’s handling of the Full Tilt Poker hearing on Tuesday, July 26 where the AGCC decided to postpone the hearing, made all the worse by the hearing being held privately –after it was announced as a public hearing. Could you pleae answer me the following question with regard to the 250k licence fee that Full Tilt Poker have promised to pay you in the next seven days? If there is a shortfall of player funds which means Full Tilt Poker cannot pay their players and they havent generated any money from any activities for the past four weeks (nor will they do so for the forseeable future) where is the money coming from to pay their lawyers and your license fee? It is surely going to cause an even greater shortfall in the funds needing to be paid back to the players at some future date? As such you are facillitating the theft of further funds from player accounts and are actively taking the proceeds of a crime but I await your answer which will hopefully reassure me. Can you give an assurance that should players lose money from their accounts at Full Tilt Poker that you will return this money to future administrators to lessen the shortfall in those player account funds? Despite the apparent lack of spell-check on his computer, and the fact that Demetriou has some of his facts wrong –Full Tilt said it would pay the licensing fee within 7 days of their license being REINSTATED, not simply in 7 days– Demetriou raises a very valid point as to where Full Tilt is raising the funds for their legal counsel and to pay their AGCC licensing fees, while at the same time not repaying any amount to their customers. Thank you for your email. Unfortunately, Alderney Gambling Control Commission is unable to comment further at this time. Please note that further details will be published on our website when they are available. Anyway I reckon if any player loses anything they would have a solid legal claim against Alderney for contributing to the player fund deficit by taking the licence fee from a company that they know has insufficient funds to cover player deposits and theerfore are exacerbating the shortfall and even actively facilitating a criminal act – namely the further theft or misappropriation of player funds. I have plans for The Alderney Gambling Commission and it will be fun taking them on as I have nothing better to do with my time and this should prove to be a fun project for me. 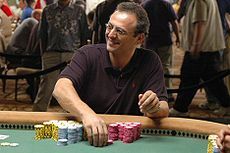 This entry was posted on Friday, July 29th, 2011 at 10:22 am and is filed under Poker Industry News. You can follow any responses to this entry through the RSS 2.0 feed. You can leave a response, or trackback from your own site.